The fraud-detection market is set to reach $41 Billion by 2022. This lets us know two things. One, businesses are willing to spend increasing amounts to reduce their fraud losses. Two, we will surely see an explosion in the number of fraud prevention tools in the oncoming years. 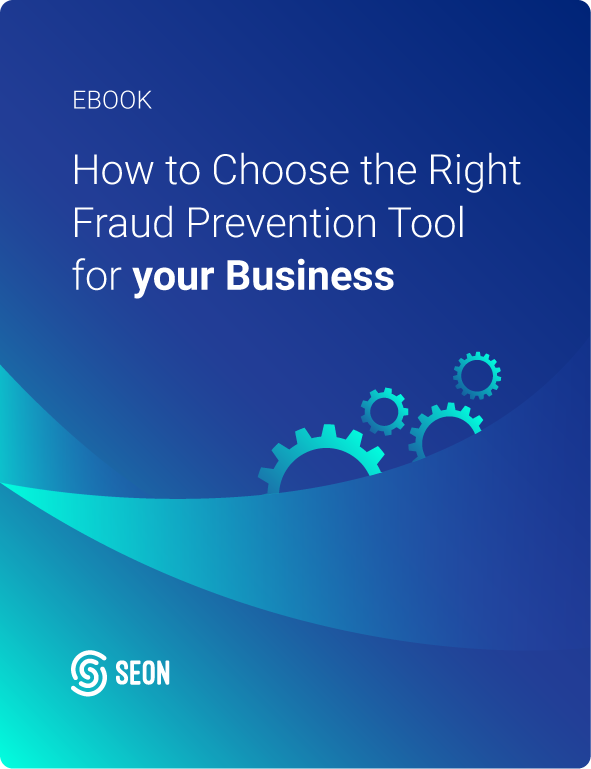 So how do you pick a fraud prevention tools that is efficient, future-proof and the right fit for your business? Just begin by asking the following 5 questions before choosing it. 1 What Kind of Fraud Prevention System is it? Niche API Solutions: These focus on aggregating data from various sources, and sharing it amongst companies to get a good picture of who fraudsters might be. Usually require one license per provider, which means costs can quickly add up. A middleware platform needs to be built, which also increases budget.. Traditional, Legacy Platforms: Fraud prevention is nothing new, and some services have been in operation for many years. They also operate by trading data between enterprises to predict fraudster abuse. However, what they gain in maturity is often lost in agility and affordability. The offers are often pricey, and the technology dated, making integration into new platforms less intuitive than with newer solutions. In-House solutions: Staffing your own fraud prevention department is absolutely possible. It is usually preferred for data-privacy reasons, and the team will benefit from great insider knowledge about the company. Unfortunately, the main issue is with scaling. Salaries and costs aren’t easy to budget when you never know how regular fraud attacks will be. Cloud Based Solutions: Cloud based solutions from third-party providers have a number of advantages. Scaling possibilities are an obvious one, as you can pay depending on usage. This, of course, has a strong influence on costs and reducing overheads. Similarly, updates and bug fixes are all taken care of by the provider. No need to monitor upgrades or to develop extra features in-house. 2 Does it Accept Custom Data and Parameters? The more accurate data you feed into the system, the more precise the results. Commonly, this data is acquired through fields, which users fill in with personal information such as name, date of birth or email address. However, digital wallet operators (online casinos or marketplaces) have very different needs from online retailers. To adapt to industry-specific needs, the provider should offer the ability to process custom fields and parameters. Ideally, merchant-specific requests are handled with ease, and at no extra costs. One classic example is that fraudsters typically buy more size 9 shoes online as they are easier to resell. Could your solution incorporate this knowledge into its rule-decision model? 3 How Fast Are The Decisions? Accuracy is one thing, speed is another hugely important metric. Once integrated into your platform, how quickly can you make a decision to allow processes? Ideally, your fraud prevention tool should offer real-time blocking and a short response time. The system should also process asynchronous requests, whereby one data point is immediately checked, while other data points are queued up for analysis without slowing down the customer experience. 4 Is the Risk-Scoring Adjustable? Fraud detection systems usually deliver results via scoring or classification. The former gives you a better picture of how much trust you can put into each user. With classifications, you only get a yes or no, which can be particularly troublesome if the solution isn’t completely whitebox. However, both methods can become misleading if your tool lacks the ability to fine-tune its scoring or classification model. It is always worth asking the provider in advance if manual adjustments are available, and how they are performed. 5 Is it Whitebox or Blackbox? Whether a solution is white or blackbox simply describes how much transparency you get as a user. Blackbox solutions do not go the extra mile to explain their decision, which makes them harder to fine tune. Whitebox solutions, on the other hand, will give clear explanations in the form of decision trees or human-readable translations of the system’s reasoning. As you can imagine, it is highly advantageous to go for the latter. Your team will be able to make sense of the data, not blindly follow an unintelligible machine-given score. With a growing number of fraud-prevention tools and fraud attacks to defend, it can be easy for merchants to be confused. It is bad enough to fight relentless fraud attacks, on top of that they must now face challenges when choosing the right solution. The document is designed to answer questions for fraud managers and business owners of all sizes, and in all verticals, whether you want to reduce fraud for an ecommerce, financial institution, online gambling platform or travel industry company.